We come to you! Your Home or Your Office – To make it easier for you to have your auto body repairs performed quickly and conveniently. 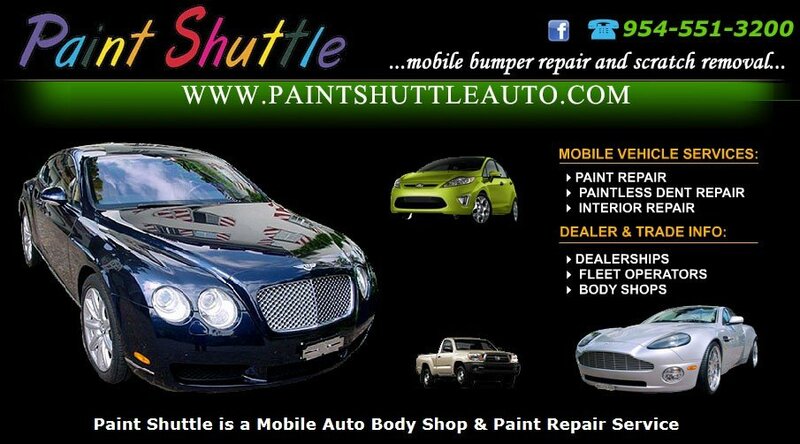 Paint Shuttle can repair your car’s scratches, fender dents, door dings, and damaged bumpers professionally repaired while you are home or at work – on your terms. You will not have to travel to an auto repair shop – we bring it all to you! We can also do some of the major body repairs, but it depends on the level of damage. Our services cover panel repairs or replacements, bumpers, doors, hoods, side quarter panels and most any minor body paint damage.